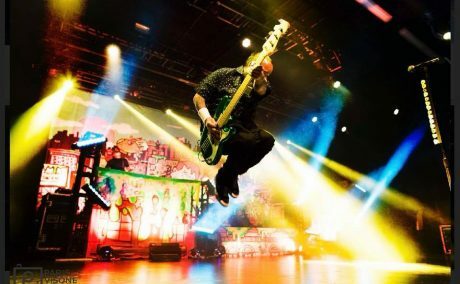 CORAL SPRINGS, FL – What does an iconic band do after completing a successful 20th anniversary tour? 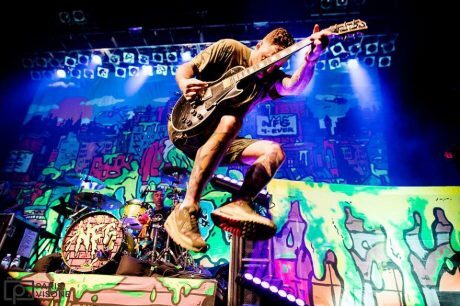 If it’s New Found Glory, it releases a hit album, then goes out to support that recording with a wildly energetic national tour. The quartet from Coral Springs, which has been described as “the kings of pop punk,” followed up their 2017 20 Years of Pop Punk Tour by hitting the road earlier this summer in support of their ninth studio LP, Makes Me Sick. Displaying the reckless abandon of rising young stars, the band created a whirlwind of motion on stage during its Sick Tour, laying down one catchy guitar riff after another, while barely coming up for air. Blow-your-head-back colors were part of the experience. The band eschewed video walls and projections, and instead relied on a backdrop of hand-painted psychedelic scenic elements designed to glow when hit by light. Providing that light was a design by Megan Alksninis of JDI Productions that added to the colorful panorama, with help from the COLORdash Par-Quad 7 LED wash from CHAUVET Professional. 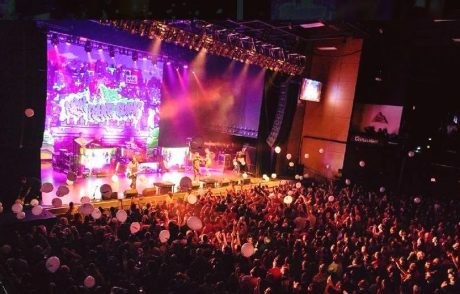 Alksninis positioned her 12 COLORdash fixtures on two 7’ and two 5’ truss towers. The uneven towers gave her added positions from which to cover the scenic elements and band members in colored light. They also lent a great sense of depth to the stage. At most venues, Alksninis stuck with her four-totem design. However, at some smaller music halls, she had to accommodate tighter stages. It was at these sites where the compact size of the COLORdash Par-Quad 7 was especially valuable. “Most days everything ran smoothly with our standard rig, but now and again we got a smaller stage than normal where we had to juggle things around to have enough space for our production,” she said. “At the end of the day, we always managed to make the vision of the tour work. Of course, once the lightshow began there was no hiding for the COLORdash Par-Quad 7. 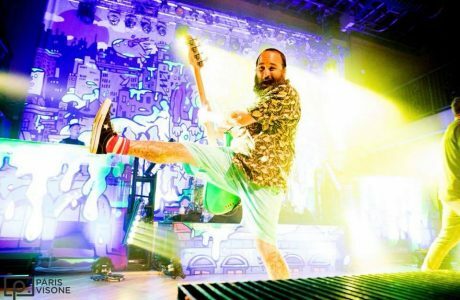 Its vividly colored light not only helped bring the painted backdrops to life, it also filled the stage with a rainbow of colors that let every fan know that New Found Glory’s third decade will be just a special as its first two.